Last season, MLB free agents sat idle at home for most of the winter, as teams refused to tie themselves down to multi-year mega deals. This forced many players to take what they believed to be a serious discount for their playing services and spurned the conversation of possible collusion between teams. And as of right now, it looks like baseball's problem is not going away anytime soon. At the start of free agency, Bryce Harper rejected a 10-year, $300 million deal with the Washington Nationals because he thought that wasn't a hefty enough reward for his services. 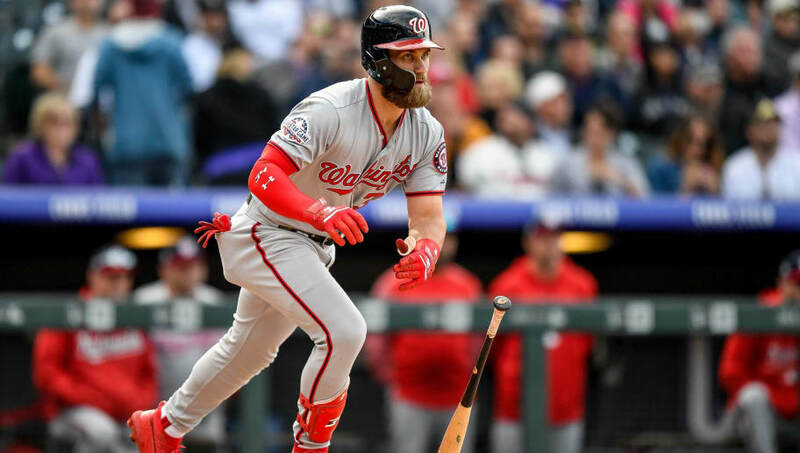 However, after testing free agency, rumors have been flying that the Nationals offer may be the best that Harper is going to receive, and he's responded in kind with a five-hour meeting with Nats brass. The question becomes, how is what was once thought of as a low-ball offer by the entire baseball universe now one of Harper's best options? One answer is collusion. If this is the case, it would mean that the teams interested in Harper are all trying to wait as long as possible in an effort to make Harper desperate enough to sign for less than what he initially wanted, potentially leading him back to the Nats for an all-new market value at the owner's behest. Many long-term contracts in the not-so-distant past have hurt teams for years, of course. For example, Jason Heyward's deal with the Chicago Cubs is seriously restricting the club from pursuing top free agents, like Harper, without moving a ton of cash. The potential for Harper to fall apart towards the end of his contract provides a huge incentive for teams to keep the players' rewards down. Recently, it's been rumored that Harper flew out to Philadelphia to meet with the Phillies. The outcome of this meeting will be interesting, in order to find out what kind of offers Harper is receiving currently. If teams continue to put out small offers for Harper's services, the collusion case against the MLB will only grow stronger.